Mindfulness can have a beneficial impact on all aspects of life, even as we grieve. As a music therapist, I personalize music experiences for my clients in order to meet their individual needs. This takes skill and education—but it also takes intuition, and a strong connection with myself in order to adapt and meet someone where they are, emotionally, physically and spiritually. Of course, that’s a form of mindfulness. How can you “meet” yourself today, wherever you are in your grief experience? I’d like to suggest a mindful approach to music listening as a way to expand your resources for coping. This is something I both recommend and use myself. You likely have some songs, musical artists or genres that you may be avoiding because of their associations with your loved one who died. That’s okay—keep in mind that this may change over time. Hopefully, there is some music that helps to uplift you, or that you would be willing to explore as you look for motivation, a brief respite, or even a smile. Make a note of these uplifting songs as you come across them, or use an Internet radio service or streaming platform to find artists and songs similar to those you already like. Once you have a set of songs, download and arrange them in a playlist according to how you would like to hear them. I might delve into the lyrics of each track and order them based on some meaningful themes that might have emerged for me. Sometimes I start a playlist with songs in a slightly slower tempo, place more upbeat songs in the middle, and wrap up with a few mellow tracks. Remember, a song does not necessarily need to be fast in tempo to be uplifting. Music preferences are often as unique as the individual doing the listening. When you’ve completed your playlist, listen. You may be thinking, “Uh, obviously.” But how often do we listen to music without a mindful approach? I encourage you to listen to your collection of songs, at least the first time through, without multitasking. Focus on your breathing or feeling your feet grounded into the earth while you take in the songs that you have lovingly selected for yourself. You might also journal about the experience right after listening, writing down emotions, thoughts or sensations that came to you during the experience. Of course, your playlist does not have to be filled with uplifting music. 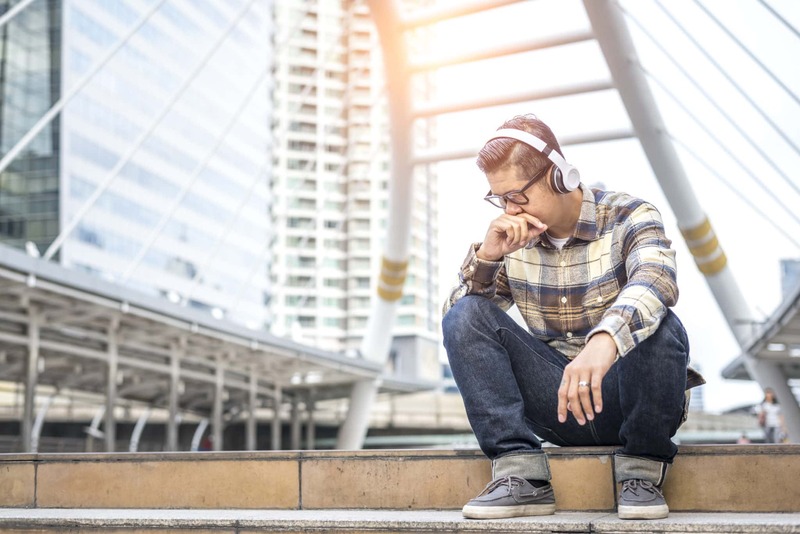 Perhaps you might eventually create a compilation of music that helps you release or validate more difficult emotions like sadness, loneliness or anger. Your playlists may serve you for a short period of time, or over many years. Fortunately, there is no shortage of available music, and you can create as many playlists as you need. I find that discovering new music is invigorating even when I am grappling with loss. I hope that you, too, can experience this life-affirming spark as the music that enters your ears connects with your heart.